Every step you have taken along the way matters. Every step from this day forward shall make a difference in yours and others lives. You were given the ability to stand tall, even when the world says to sit down. It is within you, the strength and courage, to change the world. This is your Canvas…waiting for your to create it. Stepping into the Canvas…carrying gratitude in your heart…giving thanks for every new day of opportunity. We have the ability to change the outcome of one’s day with just a simple gesture or word. Have you ever witnessed this? Have you ever had someone come up to you and say thank you for what you did, since then my life has been so different?! While many are looking for some great purpose, there are those who do so little, but have such impact on their community. All it takes is a word or a hand in friendship to change a person’s day. This change could be for the better or the worse depending on the gesture. Why not make it a kind one? Would you mind if someone did you a kind favor or offered a kind gesture? Absolutely not! Give it a try today…in fact…I dare you to do at least one good deed! Attempt a daily mitzvah and see how you feel afterwards…chances are you will feel great. When we are giving we simultaneously will receive. In giving we are receiving. Just one uncaring word can spark a fight. Just one cruel word can shatter a life. Just one harsh word can sow misunderstanding. Just one disrespectful word can douse the fervor of love. Just one kind word can smooth a rocky path. Just one joyful word can cheer a gloomy day. Just the right word can lighten an uneasy heart. Just one affectionate word can show the beauty of the world. Whilst the importance is there to give freely of our time and energy, it is equally important to pay attention to the returns. It is not selfish to want to feel good by doing a good deed. It is selfish when you expect something in return. Give freely and receive abundantly! When applying this knowledge to our days, we are not only giving a gift to the other person, but we are giving to ourselves through the catalyst of another. 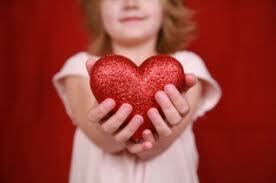 Just the same as we give freely to another, we must also give freely to ourselves. Take a moment today to admire the divine craftsmanship that the divine has created through you. Extend a compliment or a kind gesture to yourself: a massage, a special dinner, new outfit. Whatever it is do something nice for yourself. Stepping into the Canvas with a helping hand. When extended it can be used to harm someone or embrace another. Why not lend a hand today…see how many you can do. The more we extend a hand to another, the more peace shall extend into the world. The more peace extended into the world, the more bliss shall be felt. 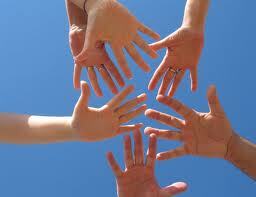 Have a glorious day…and enjoy every opportunity for extending a hand!